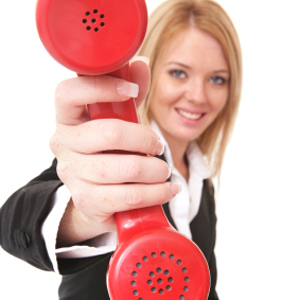 IVR and Auto Attendant Services from Numbers Plus. Also commonly referred to as a Virtual Receptionist, Digital Receptionist, Virtual Call Centre or a Virtual Attendant - An Auto Attendant is an automated way of handling calls from your customers or suppliers. As your business grows and calls to your company increase, where traditionally a full time receptionist may be required, a cloud based Auto Attendant can be utilised. This ensures calls are not missed, and customers are handled in a professional and proficient manner. It does this by using a logical routing flow, tailored made for your business, giving your customers a consistent experience. Save costs & employees time in answering calls. Callers are welcomed with a greeting. Calls can be delivered to departments (Press 1 for Sales, 2 for Marketing etc.) or individual employees based on voice prompts. Settings can be changed 24-7 and even off site via our online console. Call flow to number is controlled to ensure your customers are handled promptly without undue delay. For example, if a department is busy the customer can be given the option to leave a message requesting a call back. Easily add employees and departments as your company grows. With our advanced solution you can customise as much or as little as you need to ensure your company handles calls in a way that is most productive to your needs. Greet callers with your company greeting or one of our pre-recorded options. Divert calls when lines are busy or on no reply. Change greeting and call routing depending on time of day, holiday and auto revert. Forward calls to multiple destinations, including internal departments, employees or outside lines (including overseas) to unify multiple company locations. Record and log all your calls to enable high level of customer service and data analysis. Enable employees to sign in and out of system. Calls can be queued using hold music, with intermittent countdown to position in queue. Announce caller or department being called before call connection of call to employee. Use promotional numbers to track advertising campaigns. Do I get Auto Attendant with a Numbers Plus number? Yes, all numbers are provided with Auto Attendant. Depending on the level of customisation your company needs we offer multiple levels of service to choose from. Additionally, we can also customise a specific service tailored made to your business if required or add functionality to any of our services as your company grows.